Before we start, I’d like to take a moment to mention that Patreon rewards have been added! Now, by supporting the Library of Ohara, not only can you help me create higher quality and more consistent content, but also get a few rewards for it! 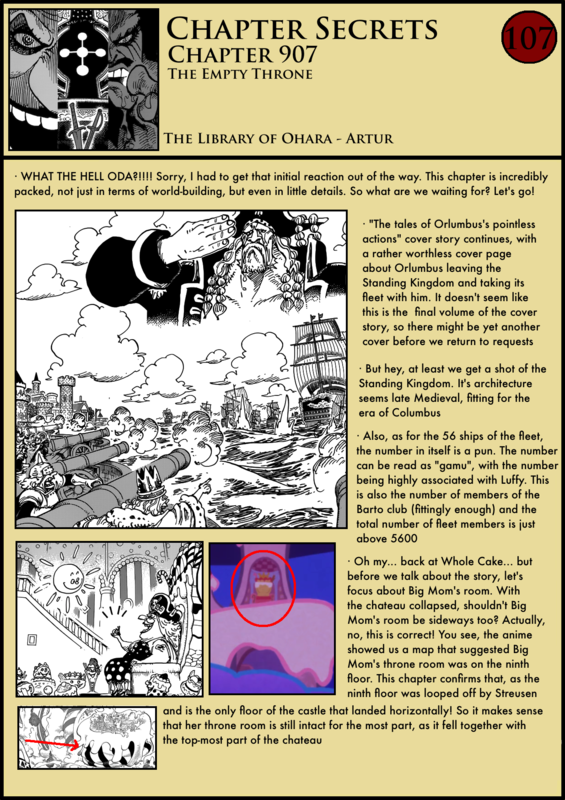 You can find all the information on: https://thelibraryofohara.com/2018/06/08/update-patreon-rewards-added/ Consider supporting the Library of Ohara to help improve the quality and content of these analysis! With that said, let’s start with the chapter! There’s definitely a lot to talk about here! Previous Update: Patreon Rewards added! All praise Buggy The Pirate King! 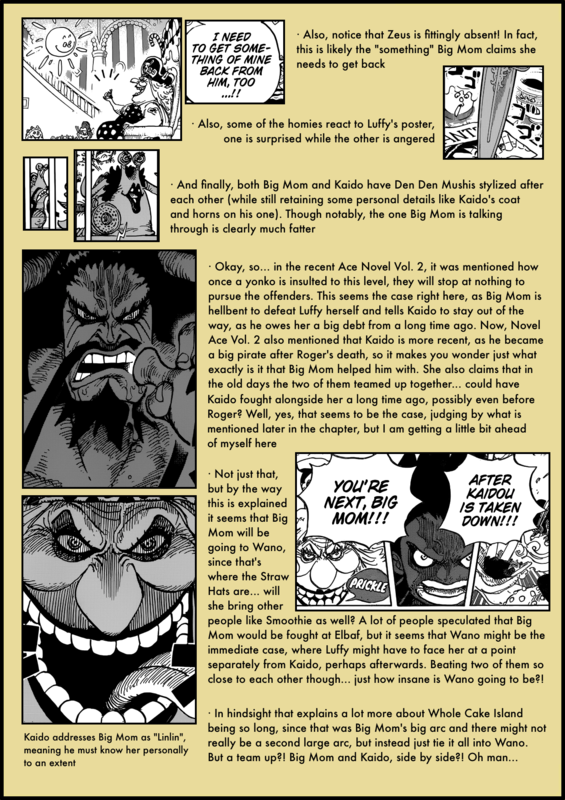 My theory of Kaido cooperation with big Mom is that She took Roger’s life years in exchange for copy of Road Poneglyph, that explains why he was so calm in execution. 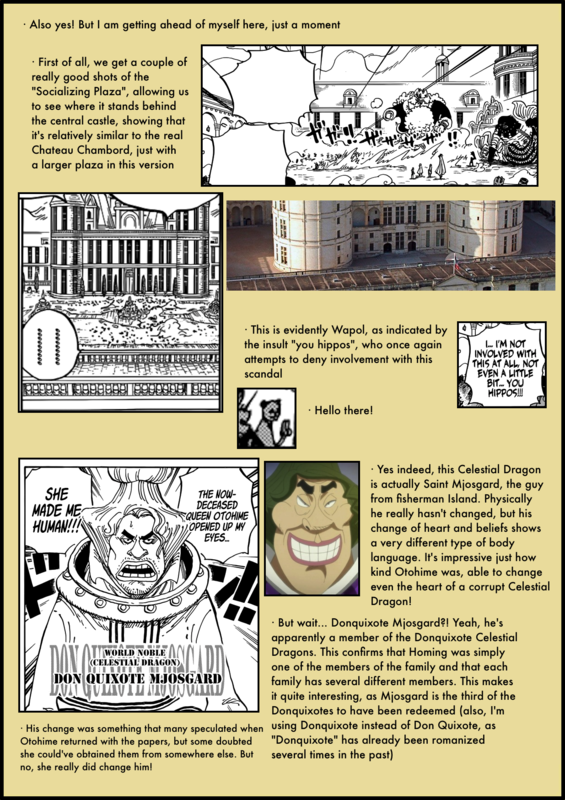 Once again, the mangastream translation was MUCH better/clearer, did you have a look at it? 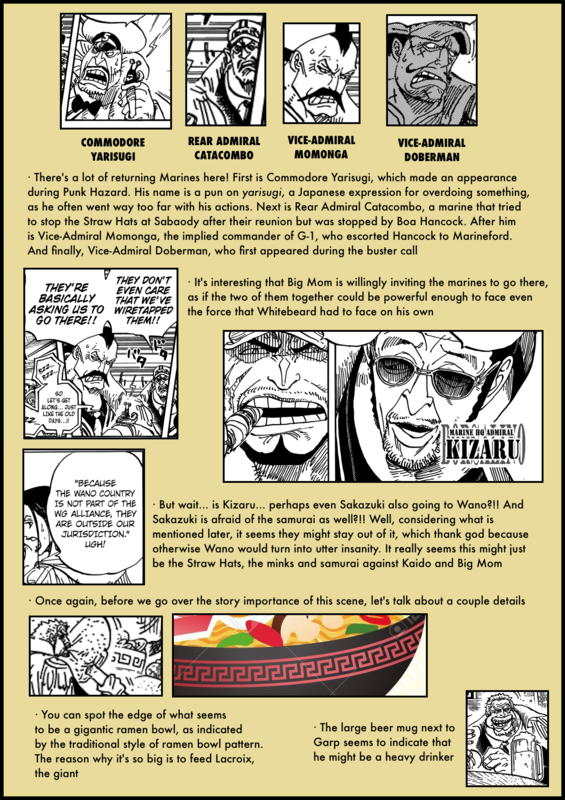 I found it much easier to follow the conversation between BM and Kaido and Garp’s conversation with the other marines. I know you may are good at Japanese very well, but do you even know Chinese ? We also have a forum like this. Yeah, I’ve seen it too, thanks for your good week-work anyway. For me, it’s a pleasure to read the analysis from different languages. gannbareyo Artur. 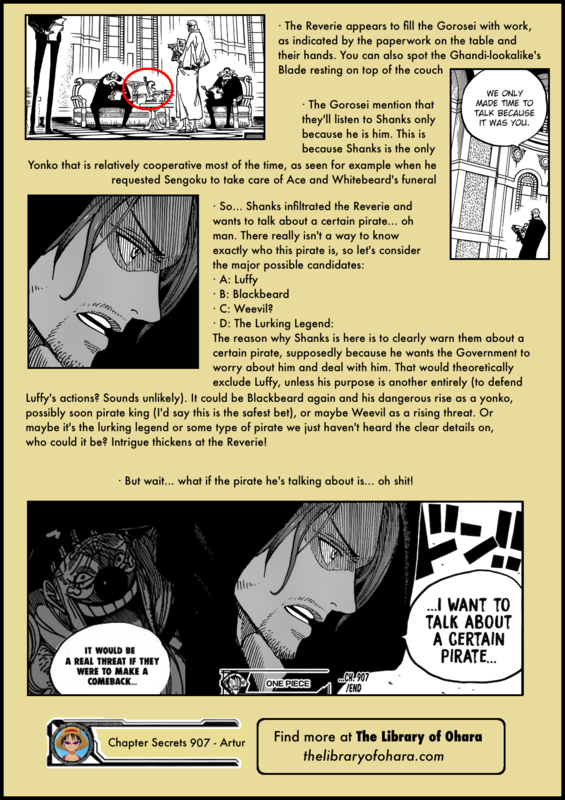 Would it be to crazy to think Shanks could be the guy with the wanted posters standing in front of the straw hat from the last episode? What if for some reason I am right? I cant really think of a good connection between my theory and the actual background that we possess now. 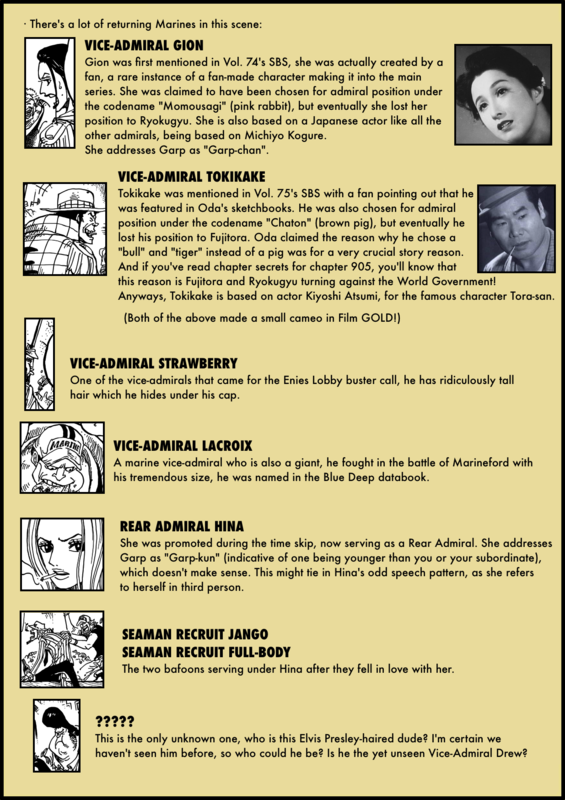 But if Oda did this, it would definitively be the greatest plot twist from OP. I doubt that because when I double-checked, I found that Shanks has his left arm missing whereas that guy with the wanted poster had his/her left arm . thank you so much for the hard work ^_^, i loved it …..keep going please. 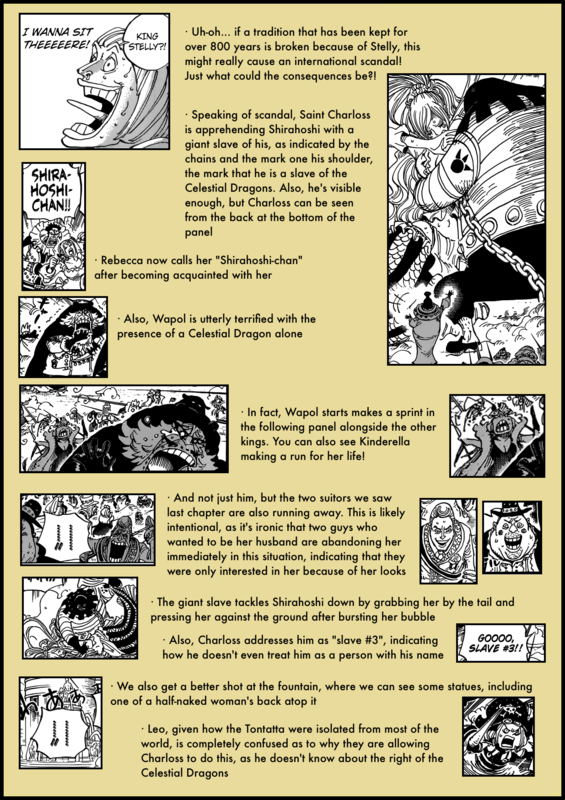 just why shanks is so repected in one piece i mean roger give him the straw hat , he stop kaido from going after whitebeard in marinford arc thought whitebeard didn’t listen to him when he talk about ace and sengoku too when he agree to stop the war and give him the corps of ace and wb , and now the gorosei , maybe everybody own him a favor to return. some people say that he will be the last boss hhhhh that will be cooll , and som say that he used to be a celestial dragon and, the theorie that interested me about him is that he is rouge (roger wife, ace mother) brother cuz in the last sbs when oda draw ace in 40 years old he looked exactly like shanks, ohhhh my mind. That would make a lot of sense! 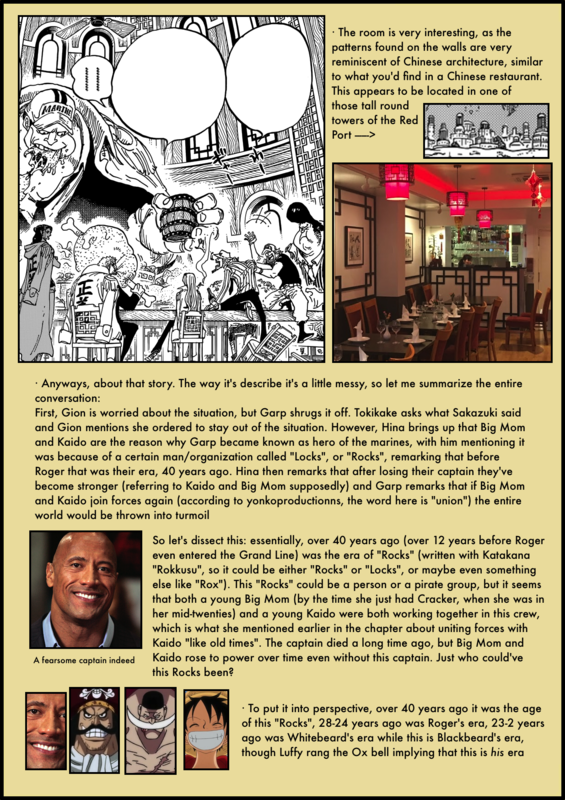 In page 5 you said that Big Mom had only Cracker, the 10th son. 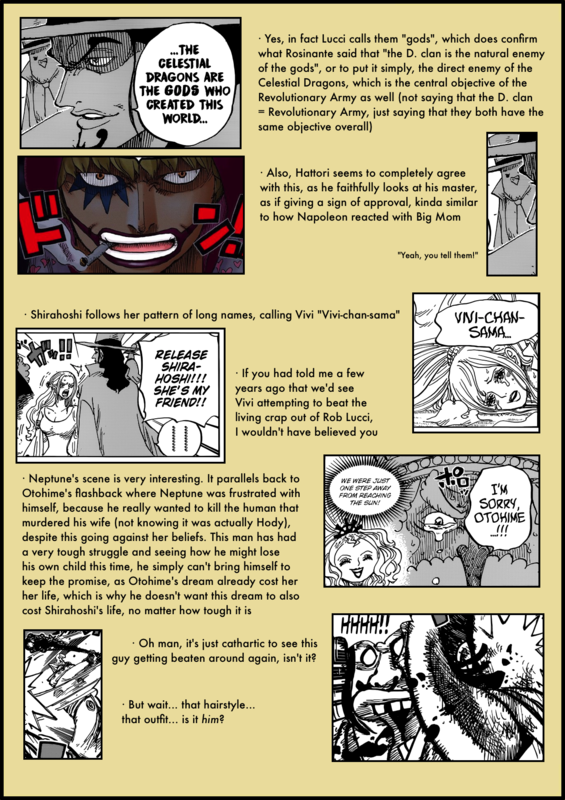 While I don’t know if that is true, I know that she also had Katakuri, the 2nd son. Or did I get something wrong? I’m saying that it was around the time Cracker was born. 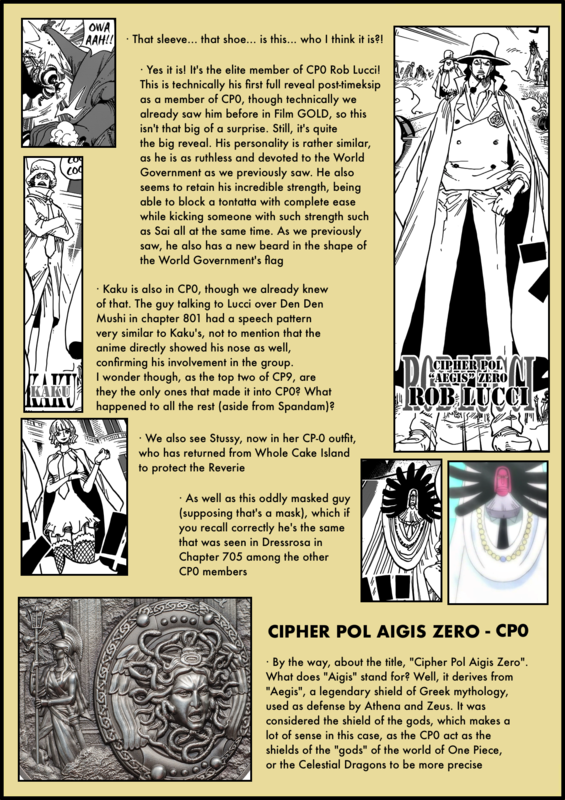 But Katakuri as well around that time, including Perospero, Compote, Amande, the quintuplets and some others! 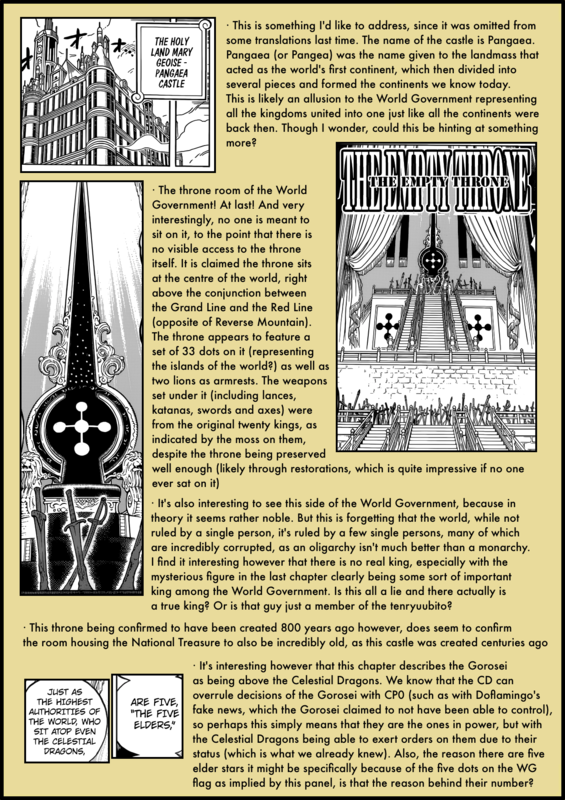 the throne looks like a certain Vatican Square. exactly, all this thematic of Gods, and a God of the Gods, I think we can try to theorize about all this.